The Environmental Association of St. Thomas-St. John (EAST) was founded in 1989 as a private, non-profit, volunteer-based community organization whose three areas of environmental focus are advocacy, awareness and education. 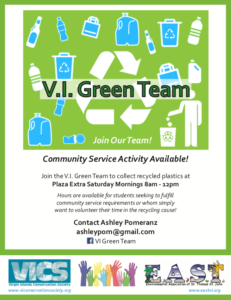 EAST is a chapter of the Virgin Islands Conservation Society (VICS), and an affiliate of the National Wildlife Federation. EAST activities are governed by a Board of Directors which includes a President, Vice President, Treasurer, Secretary, three At-Large Members, and six standing committee chairs. The standing committees are: Issues, Fund-Raising, Education, Activities, Membership, and Public Relations. This site contains information about EAST, our mission, our Board of Directors, current projects, membership, other information pertinent to the U.S. Virgin Islands and some of the environmental issues faced in the Territory. 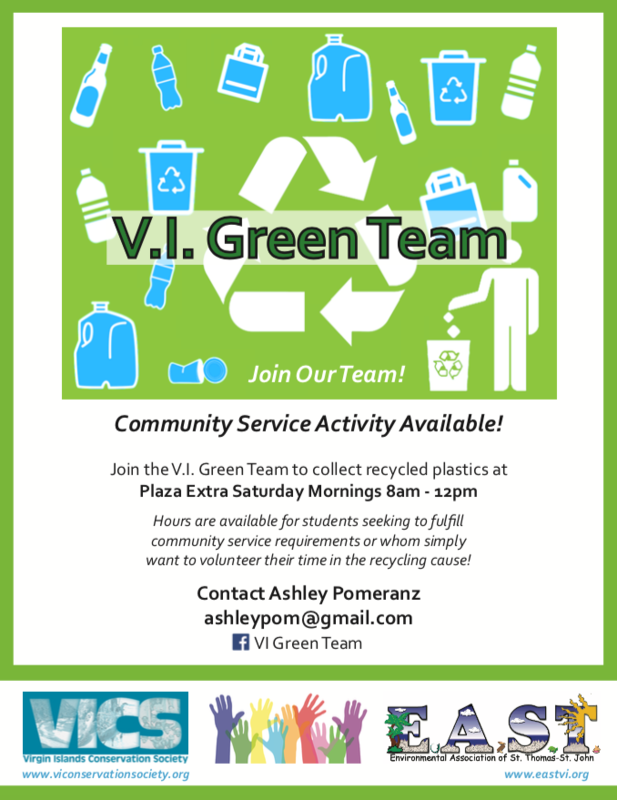 Please be a volunteer or circulate electronically this flyer and help us spread the word for the need of recycling volunteers!